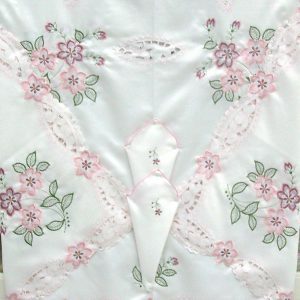 Also available in a white background. 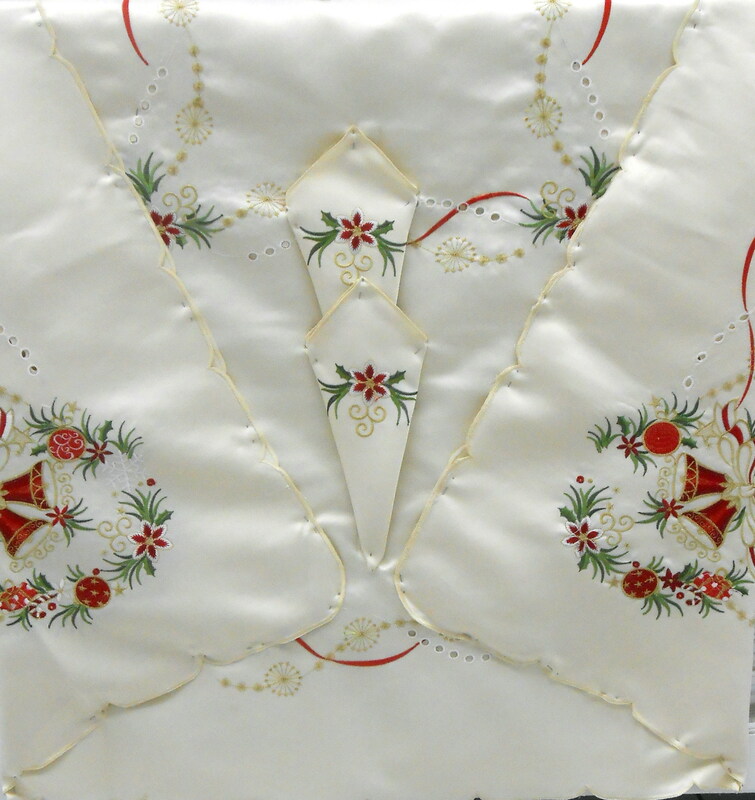 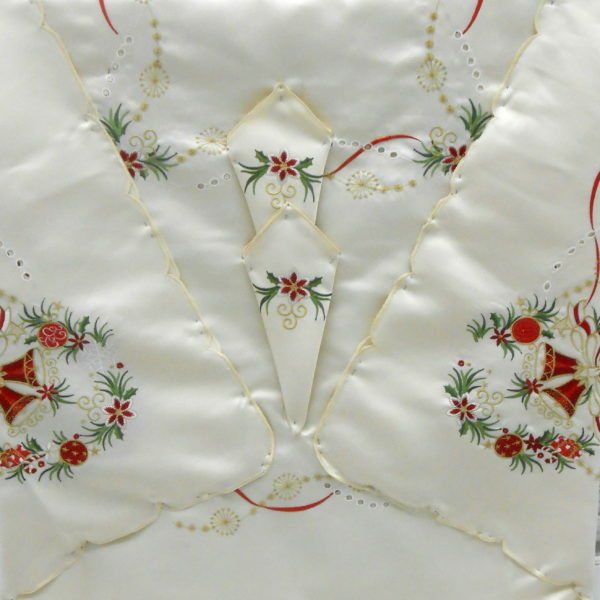 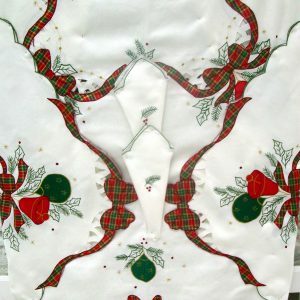 (Beige pictured) The bells in this cloth look as though they are encompassed into a Christmas wreath. 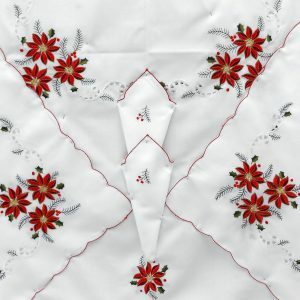 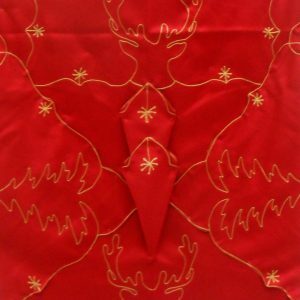 A simple, yet beautiful Christmas tablecloth.